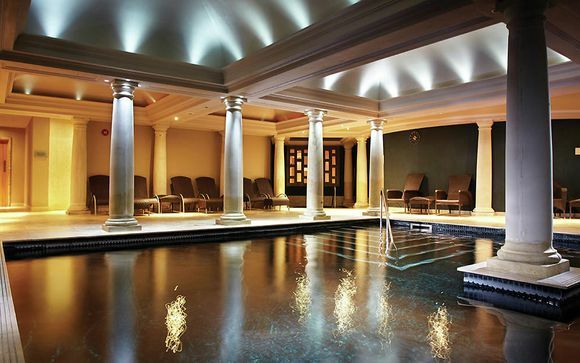 When people visit Alexander House Hotel for a relaxing break they often think about heading to the spa. However, for those of you who prefer to relax in the great outdoors, Alexander House Hotel has just the tonic. 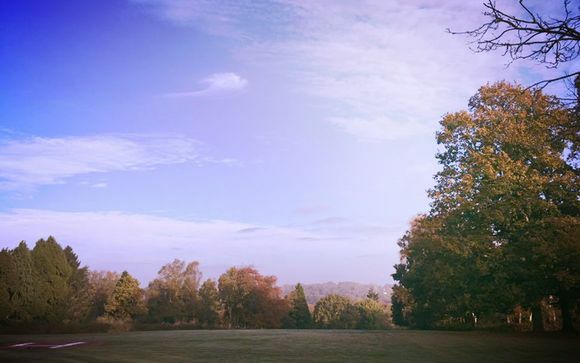 With 120 acres of country estate, the grounds at Alexander House are a wonderful way to discover the Sussex countryside. Just choose your transport, explore on foot or make the most of our complimentary mountain bike hire, grab a map and get out exploring our trekking trail! If you need more information about taking part in any outdoor activities, or would like to borrow some wellington boots to beat the great British weather, simply visit reception where the team will be more than happy to help. Welcome to Alexander House Hotel - a Luxury 5 Star Boutique Hotel and Spa in Sussex. Set within 120 acres of glorious Sussex countryside, Alexander House is a luxury manor house with beautiful vistas, a choice of restaurants, an award-winning Utopia Spa and rooms designed for absolute comfort. 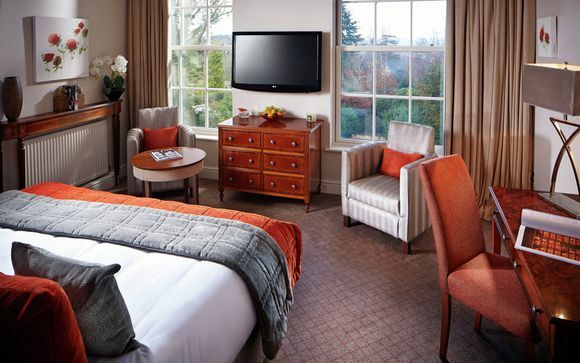 This 5 star hotel is located on the borders of Sussex and Surrey, yet convenient to Gatwick Airport and only 55 minutes from London. 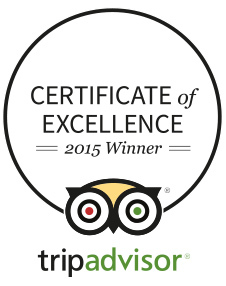 Fascinating history, stylish design and a warm and personable service await. This offer is based on a stay in a Luxury Room. Averaging 35sqm, the Luxury Rooms combine modern style with traditional warmth and comfort. Many of the gorgeous bathrooms include a polished Victorian Bateau style bathtub, separate shower and twin vanity unit. Expect a good night’s rest on the handmade Vi-Spring king or oversized twin beds, dressed with the finest Egyptian cotton linen and tailor-made pillows. All of the rooms include temporary membership to the award winning Utopia Spa. Just for you: £35 Dinner allowance per person (on the first night). Alexander House Hotel has several different yet very tasty dining experiences under the talented Executive Chef, Mark Budd. AG's is a sophisticated 3 AA Rosette Restaurant. Food is imaginative and their commitment to quality is unrivalled. Reflections offers creative and simply delicious lunch and dinner menus. The hotel's classic Afternoon Teas are becoming an institution in their own right. Afternoon Tea is served in one of the intimate lounges, gardens or South drawing room. AG’s Grill Room's menus are inspired by the countryside and woodland that surrounds the hotel, and the chefs pride themselves on, ‘bringing dishes to life through clever use of colours, textures and theatrical presentation (...) one of the best I’ve eaten in a long time – butter-poached lobster with crispy chicken wings and truffles; pork belly with salt-baked turnips for my main. Both are divine. Just for you: Complimentary access to the spa, pre book treatment up to 72 hours prior to arrival to receive 20% off the treatment price. The Utopia Spa at Alexander House offers a world of pampering. The Grecian inspired interiors have been designed to take guests on an intimate spa journey to relieve everyday stresses and strains. So as you lounge by the pool, melt away under the monsoon showers or plunge into the hydrotherapy pool, you really will feel as though you have escaped to another world. The hotel has 25 treatment rooms including three double treatment rooms, a handful of relaxation lounges and therapists who are experts in their field. They provide an attractive selection of spa days and offer a wealth of spa treatments. Spa guests can make full use of the state-of-the-art gym. Join one of the daily exercise classes such as yoga or body blitz, or enjoy outdoor activities including tennis, bike hire, trekking trail and garden games. Please note: Spa use is for guests aged 18 years + only. Use of hot tub must be booked in advance. Leave the M23 motorway at junction 10 and follow the signs for East Grinstead. At the second roundabout follow the signs for Turners Hill (B2028). Once in Turners Hill Village, turn left at the crossroads (B2110) to East Grinstead Alexander House Hotel is on the left hand side after approximately 1.5 miles. With the hotel being in close proximity to London Gatwick Airport, Alexander House Hotel & Utopia Spa is an ideal first or last stop for a stay in England. For further information on Gatwick Airport, flight arrivals, departures and car parking go to Gatwick Information. The hotel has its own private Helicopter landing site. O/S sheet 187, grid refrence 353361. Please contact reservations to book your landing time on +44 (0) 1342 859702. If there are any discrepancies, please notify us as soon as possible.